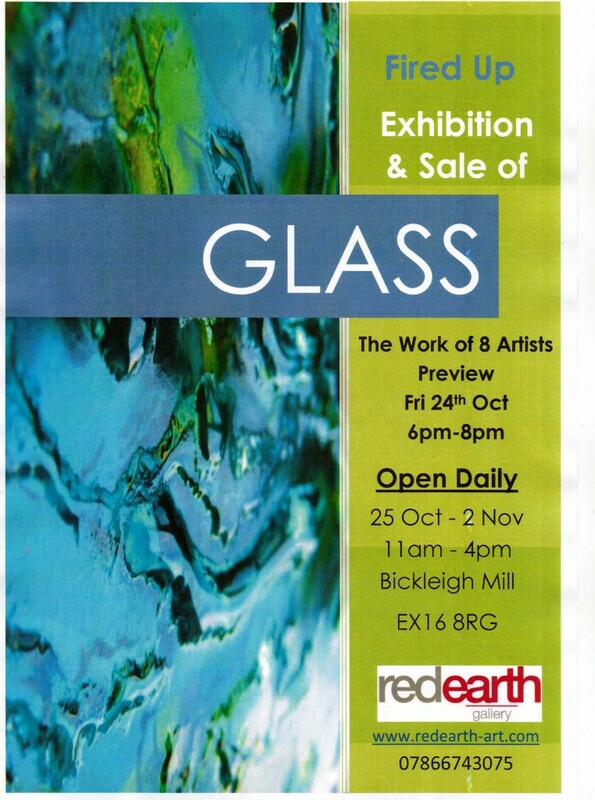 Helen Fonnereau will once again be exhibiting at Redearth Gallery, Bickleigh, Tiverton with 8 glass artists as part of their annual ‘Fired Up’ exhibition and sale of work. The artists have been working alongside each other as part of Annie Symths Glass Studio and the exhibition is an opportunity to showcase their different styles in a gallery setting. 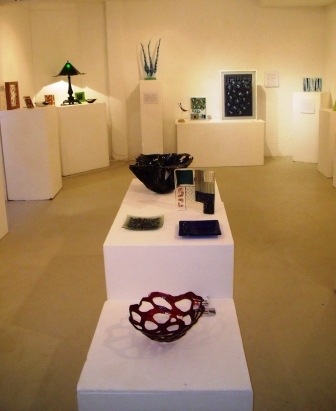 It’s also a great opportunity to buy hand crafted unique glass by local artists at a price range to suit all budgets. Come along and meet the artists on Friday 24th Oct 6 till 8 for their preview. This Saturday 26th July is the Mid Devon Show 2014. We will be displaying our plants as usual in the Flowers & Garden Marquee, its always a great day out and there is so much to see and do for all the family. 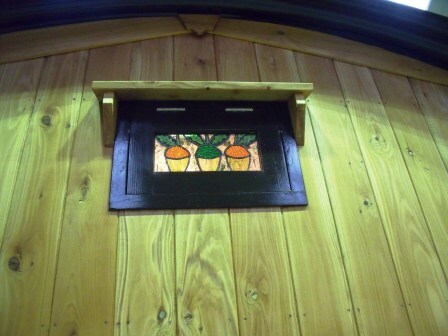 Here is a little sneak preview of our stand, but if you want to see the whole thing you will have to come and see us! Cove Garden Nursery Festive Fair is on Sun 8th December 10 till 4. 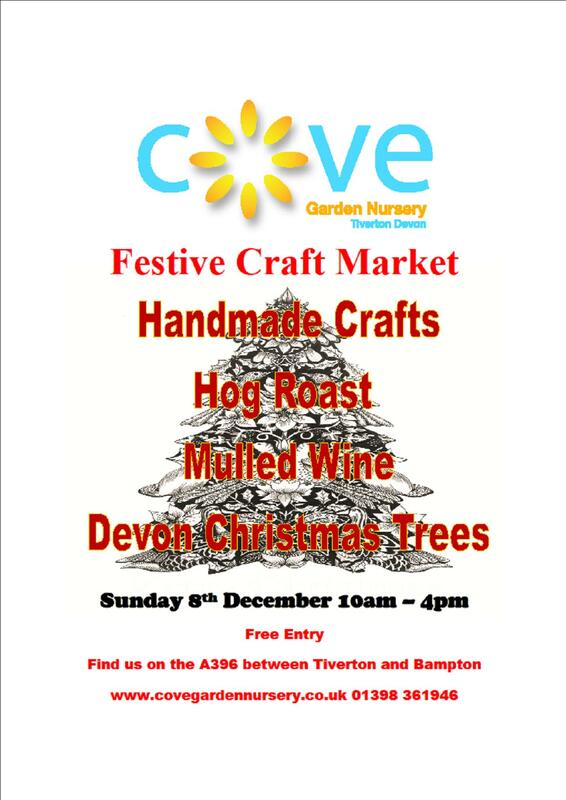 Some great stalls including textiles, candles, soaps, wood-turning, ceramics amongst others. Pitmans Farm will be providing delicious hog roast once again and mobile cafe Cosmic Wheels will be supplying warm soups and mulled wine. 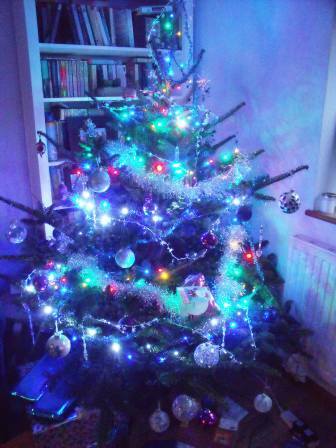 It’s the perfect time to purchase some unique presents and pick out your Devon fresh Christmas Tree. Fired Up Again exhibition at Redearth Gallery is now open! Come and view new work by Helen Fonnereau and other glass artists. Preview evening for drinks and nibbles Friday 25th Oct 6 till 8, come and meet the artists! Fired Up Again! 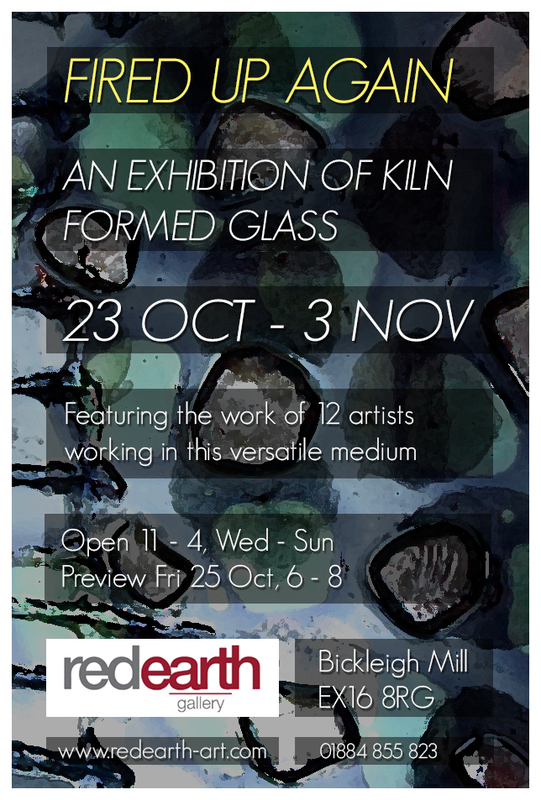 is an exhibition of kiln-formed glass at Redearth Gallery, Bickleigh 23 Oct to 3 Nov. Annie Smyth, Helen Fonnereau and other glass artists will be coming together to showcase their varying styles and personalities in this challenging medium. 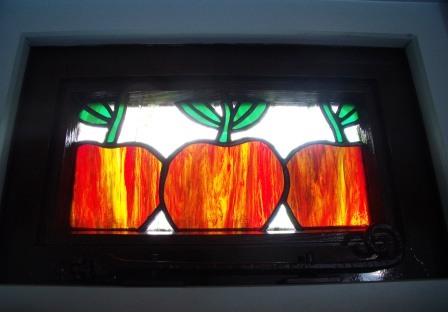 It’s a great opportunity to buy something original for the home, hand crafted by local artists. Open 11 – 4 Weds to Sunday with a meet the artists preview evening Friday 25th Oct 6 till 8. 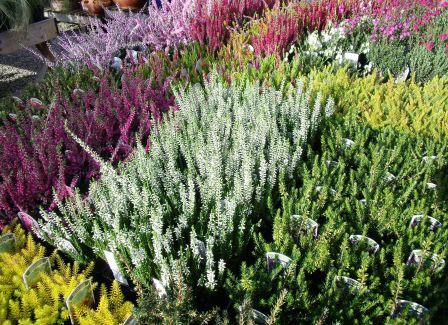 Heathers for all year round interest are looking good at Cove Garden Nursery. Autumn/Winter flowering varities are ideal for baskets and tubs, plant them with violas and pansies to create a bit of colour through the dark months and Spring flowering varities are perfect for early pollinators as the bees love them! Choose from 9cm pots at £1.99 each, 3 for £5 or 7 for £10. Larger 1 litre pots are £3.99 each or 3 for £10. We are busy getting ready for the Mid Devon Show this Saturday, come and find us in the Flower Marquee! 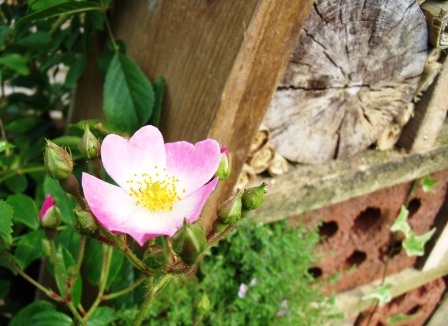 This year we are creating a ‘Perfect for Pollinators’ stand showcasing some of the plants for all seasons that the bees and butterflies love. 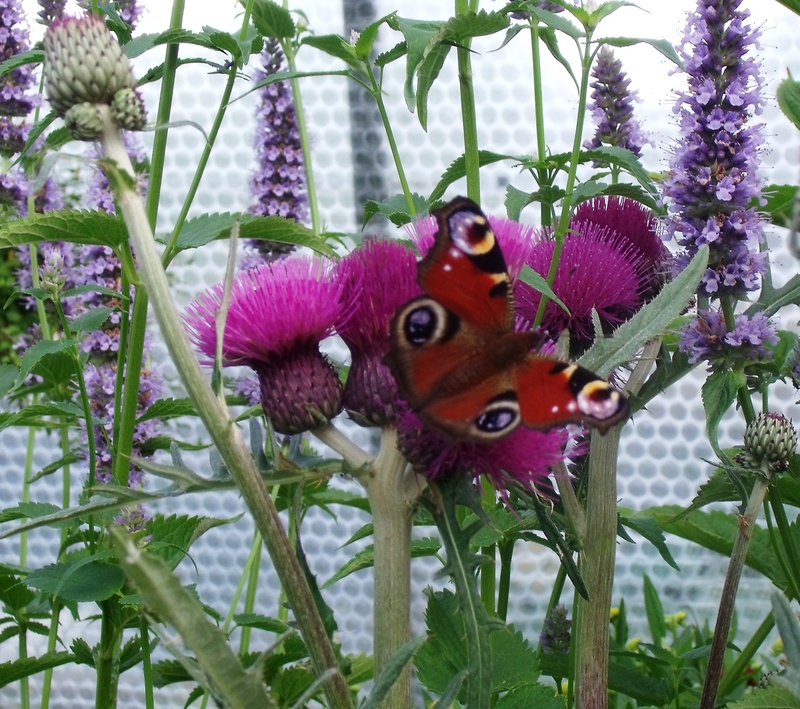 This beautiful peacock butterfly has perfectly illustrated this by settling in on this Cirsium rivulare ‘Trevors Blue Wonder’! Come and see the whole stand and find out how to encourage those very important pollinators (VIPs!) into your garden. 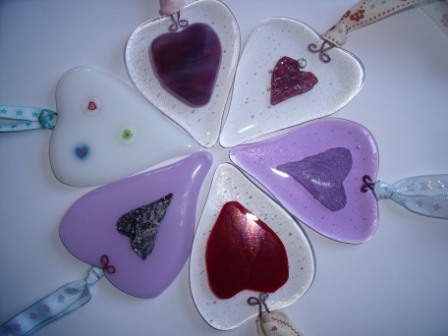 Treat your loved one to something hand-made this Valentines with these fused glass Hearts made here at Cove Garden Nursery. They are a lasting way to say how much you care for your loved one this year! Reasonably priced at £5.00 each you can afford to splash out on an expensive Champagne supper as well! Merry Christmas to all our friends and customers! We will be closing at one today and open again 2nd Jan. Thanks for all your support this year and we are looking forward to a hopefully drier and slug free 2013!